Synopsis: An individual suffers an unknown and irregulator immuno-response on the arm. The small wound and irritated area could have been the result of an abrasion and contact with bacteria or possibly chemicals. The area is highly agitated. A clay poultice is applied only once, and for a duration of only one hour. 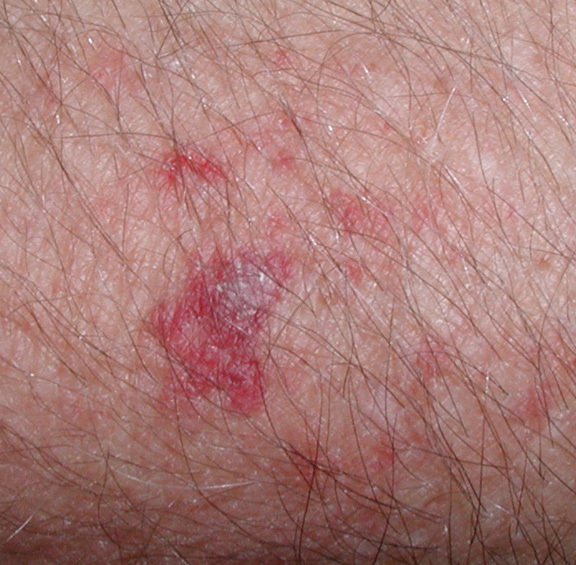 An infection is pulled to the surface of the skin during this time period. 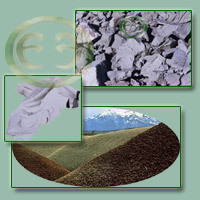 After the clay poultice, the individual experiences no further irritation, and the body begins the healing process. 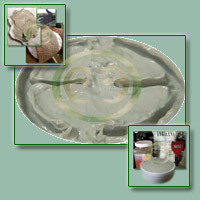 View our new basic photo set that visually demonstrates a clay poultice pulling an infection to the surface of the skin. 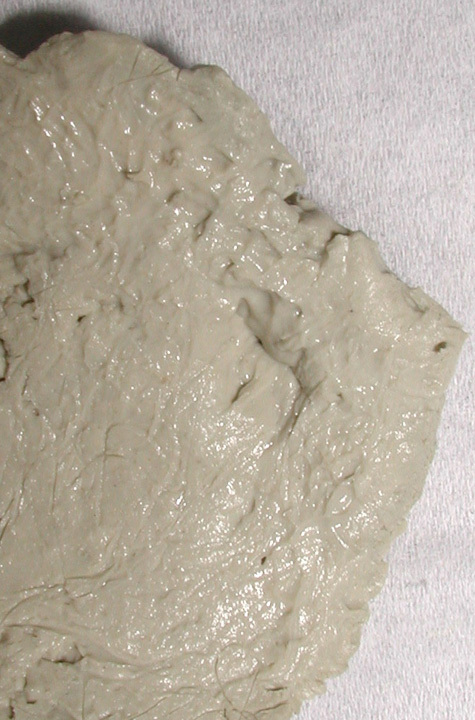 A photo was taken prior to clay application, then one hour later. 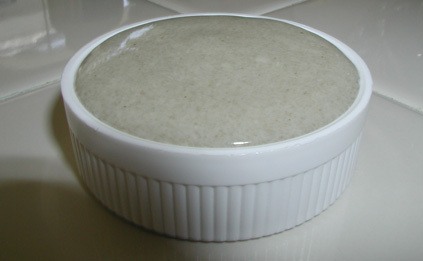 The clay used was a complex hydrated clay colloid made from several different types of clay, including calcium montmorillonite, illite and sodium bentonite. It was hydrated with a specially formulated water. 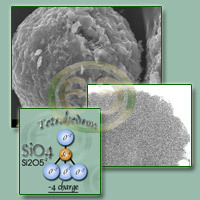 However, any good quality clay would likely have produced a similiar result. 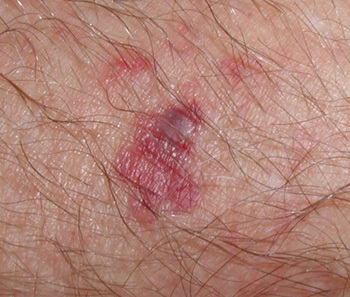 The primary source problem area is nearly flush with the surface of the skin. Careful examination reveals a subdermal infection ( the areas of dark discoloration ) beneath the skin. One hour later, after the clay poultice has been removed, the source problem area is now protruding from the skin about 1 1/2 millimeters. 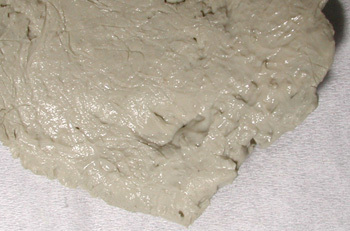 The clay has pulled the infection to the surface. 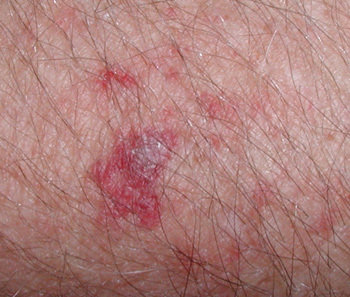 The body's response indicates that the problem has been addressed via no further irritation. One more hour of clay with a new poultice would have likely resulted in the small wound draining. However, the individual elected to leave it as is, and no further action was needed for the wound to heal. 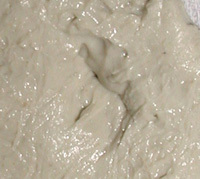 Toward the bottom right, one can see the area of the clay that was above the primary injury. Different levels of moisture reveal that the clay action was far more pronounced at the exact treatment site than the surrounding areas. To see this difference, one can click on the image to get a larger view, and carefully examine the image.